Serving our Community with P.R.I.D.E. I began my law enforcement career in 1988 and have spent my entire career with the Tehama County Sheriff’s Office. Since taking office on January 3, 2011, we have accomplished everything we set out to accomplish. We have established respectable alternative custody/inmate work programs and an inmate work farm. I am still proud to be associated with the men and women that make up our organization. Our people are well trained and well equipped to deal with the always present criminal element of our society. We are moving forward with a sixty four bed addition to our jail as a result of being promised jail construction funding from the State of California. We will continue to dedicate our energy and resources to making Tehama County a better place to live and work. 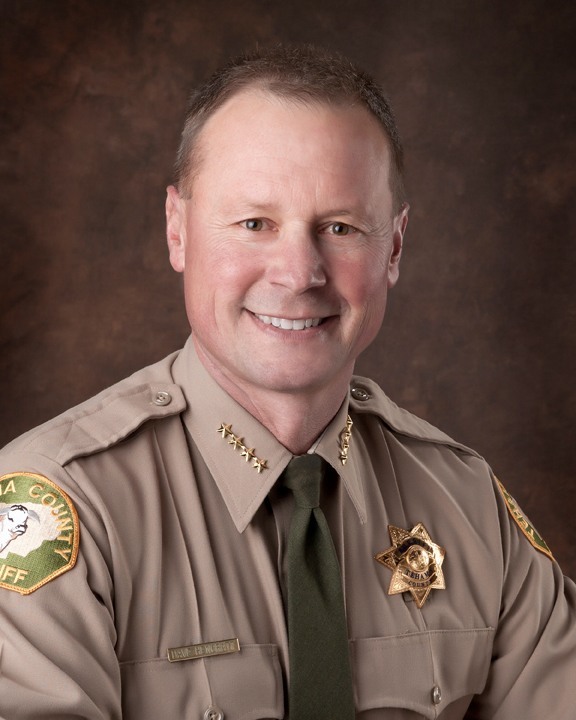 In an effort to be more transparent and due to recent interest, Sheriff Hencratt had decided to release the dispatch logs for the November 14, 2017 shooting in the Rancho Tehama Reserve of Corning, California. Please Click Here to view these logs. If you have any suggestions or comments that will assist us in improving the quality of life in Tehama County, please e-mail the webmaster or write to any of our staff at P.O. Box 729, Red Bluff, CA 96080.